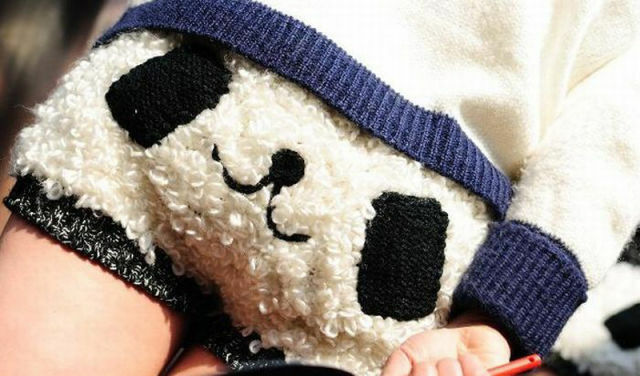 Apparently, Panda shorts are the latest fad in China. 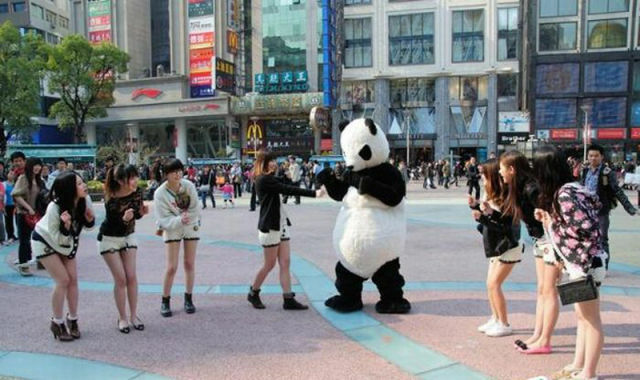 Perhaps it’s because the Panda bear is so popular in China. Whatever the reason they are very stylish. 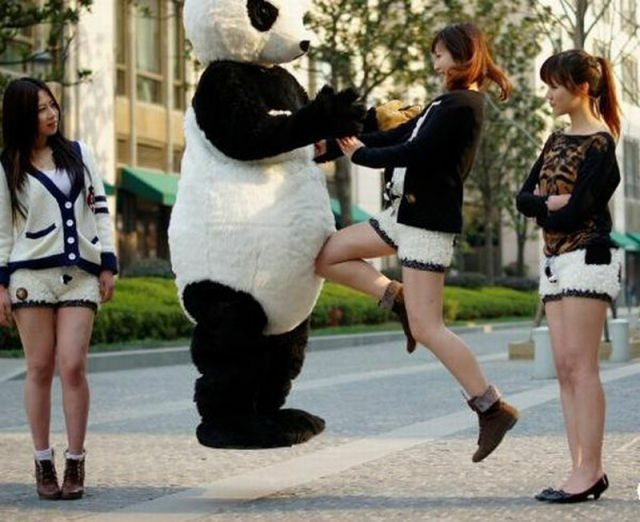 Me want to feed panda's my bamboo. Yes? Cute. 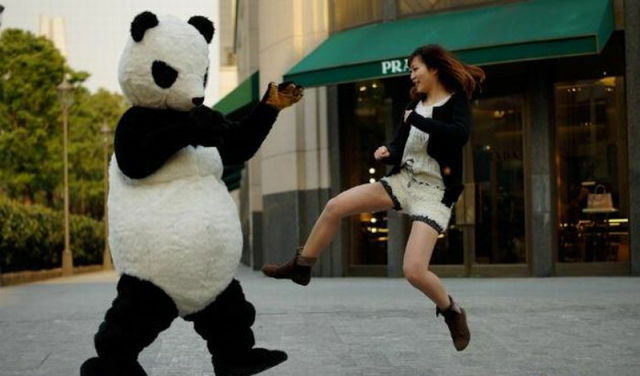 What is it with the Chinese fascination with pandas? Whatever - they still have a long way to go before they are as silly as the Japanese. And I mean that in the nicest way possible.